Rough, tough and always exciting Argentine warrior Marcos Maidana, who exited with a 35-5(31) record, compiled against fair, good, very good and great fighters, turns 35 today. Having retired in 2015, not too long after his big-money rematch with Floyd Mayweather, Maidana is today enjoying himself – recent photos showing the former champ, quite a bit overweight and enjoying a smoke and a drink. Maidana gave his all and his retirement was well earned, but that said, fans miss Maidana’s ferocity and all-action style. Looking back on his career now, is “El Chino” in with any shot of going into The Hall of Fame one day? 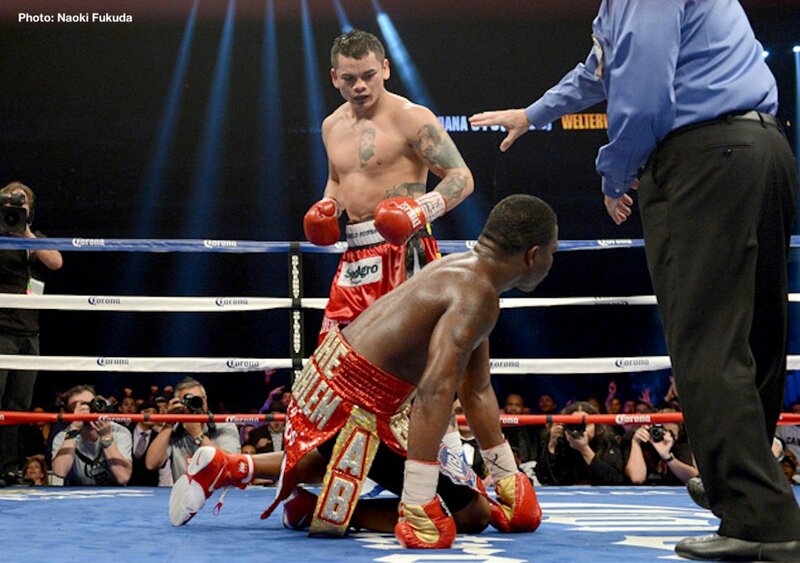 Then came Maidana’s biggest, most celebrated win; the 12-round hammering of loudmouth bad boy Adrien Broner. A big underdog going into the December 2013 fight, Maidana decked Broner twice and at times manhandled the flashy boxer who had been dubbed by some as “The next Floyd Mayweather Junior.” Maidana earned a well deserved 12-round decision and with it both the extended thanks of millions of fight fans for shutting up (temporarily, anyway) Broner and, more importantly, a shot at the pound-for-pound king himself. But Maidana was now a multi millionaire and a hero in his homeland. The good times rolled, some serious weight was gained and Maidana had given all he had to give in the ring. Would YOU vote for a Maidana place in The HOF?